Since reading Yuri’s Signs Preceding the End of the World last summer, and then meeting the author and hearing him read, I’ve been looking forward to finding the time for more of this trilogy. As I left this summer’s residency, I should of course have been starting on the semester’s reading, but in transit I only had the books in my bag. 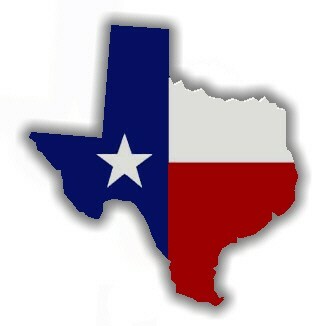 Happily, this one. 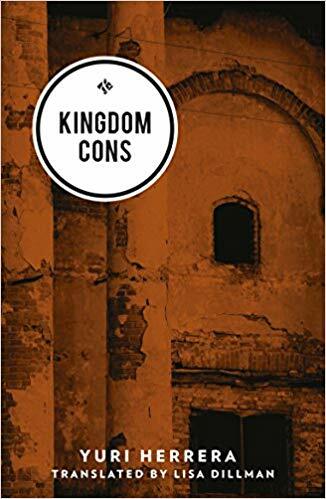 Kingdom Cons was the first of the three books to be published in Spanish, and the third in English. These titles (second comes The Transmigration of Bodies, followed by Signs) form what Yuri Herrera calls a “loose” trilogy, so I’m not supposed to feel too bad about going out of order. They are so short, though, I’ll probably reread Signs in its proper position when the time comes. Kingdom Cons is set in a similar world to that later novel, but without any overlapping characters, according to my memory. This one stars a man we first meet as Lobo (wolf), but who quickly takes on another name. The canine implication stays, though: he is repeatedly referred to as a stray. Lobo was a poor child whose parents (also strays) sent him out to earn a few coins as a street musician; he sings and plays the accordion, and most importantly, he writes lyrics. After his parents abandon him to this life, he develops his skills: music, writing, and the art of invisibility, of ingratiating himself to the right people. In the opening scene, Lobo performs in a bar while watching–admiring–a group of powerful men. It is clear to him who’s in charge. He knew blood, and could see this man’s was different. Could see it in the way he filled the space, with no urgency and an all-knowing air, as though made of finer threads. Other blood. …Then he saw the jewels that graced him and knew: he was a King. Two observations from these first lines will be central: one, Lobo’s interest in and feeling for blood. And two, the epithets that identify all characters from here on out. The head man Lobo follows hereafter (a drug lord, a mobster, a leader) is the King. He employs men known as the Jeweler, the Journalist, the Heir, the Manager, the Traitor. Lobo will be known from here until nearly the end of the book by the title given to him by the King: the Artist. He moves into the King’s palatial compound, fulfilling a new role as court balladeer. He writes songs in praise of the King’s heroics. Completely uncynically, he feels lucky to be a part of something so good, and honestly worships the man in charge. But of course, the King’s rule will eventually be challenged. The Artist did not do well in school, but his passion and gift for words in the form of song have served him well. At the King’s Court, the Journalist sees his need and gives him books to study. The Doctor gives him spectacles, so that he can see what he’s never seen before. He finds his first romantic and sexual experiences there, but the Girl did not choose this life for herself. In a way, the Court is a microcosm of the world; but in other ways, it is exactly what it seems on its face: a violent, greedy underworld in which girls are sold for a used car, and the King has no true friends really, except perhaps the Artist himself. That makes it sound more heroic than it is. In the end, the Artists becomes just Lobo again, although he has learned to recognize his own blood. Although more subtly than in Signs, I think one of the central themes in this book, again, is borders. Liminal spaces: not just the obvious border between the unstated country where this story is set and its neighbor to the norte, but the fragile transitional space Lobo hopes to cross between his street-hustling and the finer, deceptively safer, life in the Court; and the equally delicate lines walked by other characters in these spaces. Also like Signs, Kingdom Cons retains a slightly dreamy, mystic quality, as if this were a fable, or a myth to build a culture around. Again at less than 100 pages, what a world opens up. I can’t wait to get to The Transmigration of Bodies.